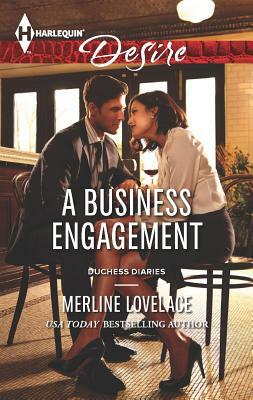 In this Duchess Diaries novel, USA TODAY bestselling author Merline Lovelace shows how revenge can be sweet when you have a royal (phony) fiancée. When the glossy magazine where Lady Sarah St. Sebastian works as an editor names Devon Hunter one of the Ten Sexiest Single Men, he is besieged by embarrassing attention. The perfect revenge? Force Sarah to play his fiancée during a business trip to Paris. Because of a recent family indiscretion, Sarah must agree if she wants to protect the St. Sebastian name. But in the City of Lights, their fake engagement unexpectedly leads to real desire -- and dangerous complications….